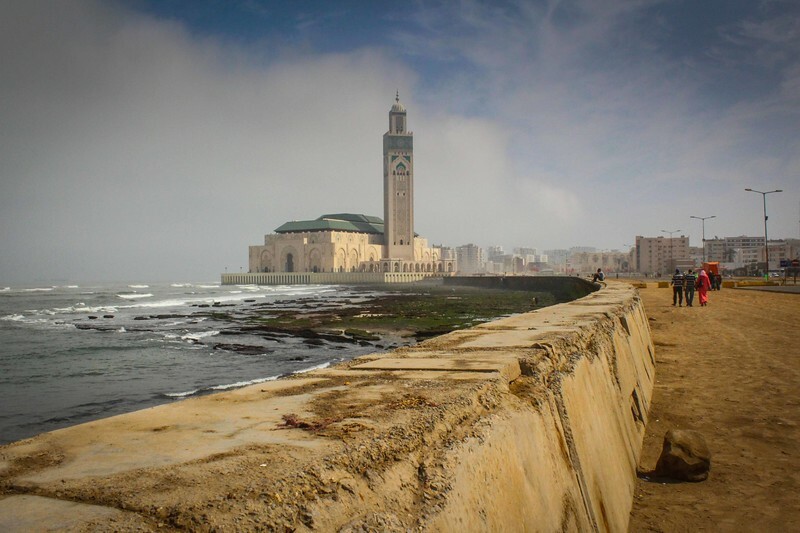 Completed in 1993, the Hassan II Mosque towers over the sea boardwalk in Casablanca. Open to all people, regardless of religious belief; the Mosque may hold up to 25,000 worshippers. With the majority of materials used in its construction sourced from Moroccan soil, the minaret stands 200m (656 ft) above the ground.